This week €265,000 will be provided to disadvantaged communities in rural and urban areas in Co. Sligo and Co. Leitrim through the Community Enhancement Programme, Deputy Tony McLoughlin has said. Typical enhancements under the Community Enhancement Programme could include the renovation of community centres, community amenities, improvements to town parks and common areas and spaces, CCTV equipment and energy efficiency projects. Deputy Tony McLoughlin said, "This new scheme will provide funding to communities in order to enhance facilities in disadvantaged areas. Some of the funding is ring-fenced for smaller projects, from lawnmowers and IT equipment to minor renovations in buildings. It also provides funding to contribute to larger projects in disadvantaged areas. This programme helps support important work by communities across Sligo and Leitrim. 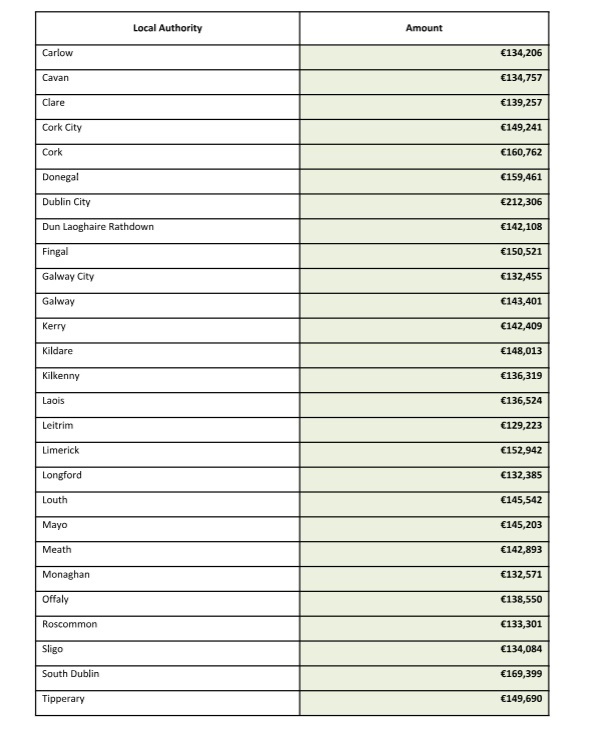 Sligo will receive €134,084 and Leitrim will receive €129,223 in total. The closing date for applications is 5pm on Monday, July 30.